Simple elegance perfect for smaller spaces. 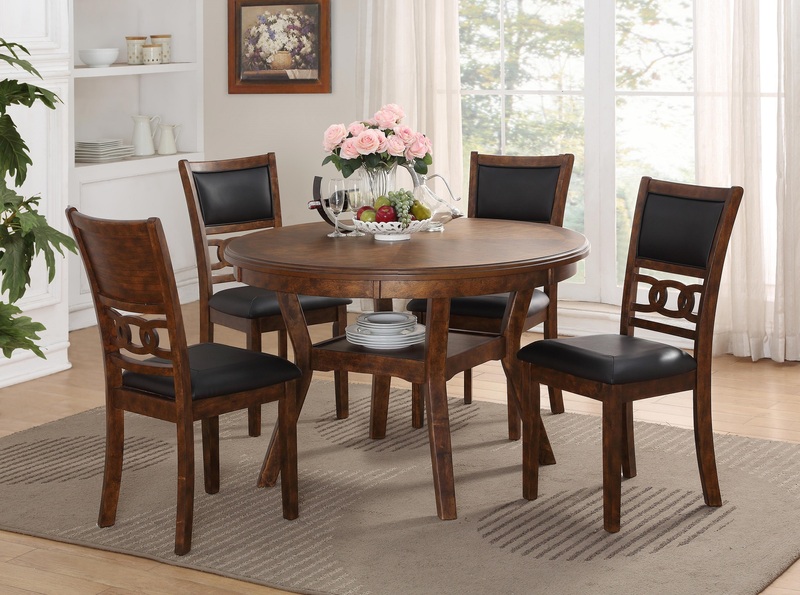 The Gia’s rich brown finish, thoughtful design and sophisticated styling is an attractive addition to a dining room, eat-in-kitchen or a family game room. Available in dining or pub height.